A J Roberts Industrial Inc.
No non-sense engineering contractor. Operating since 1979. At AJR, we've been operating in the fast-growing American Southwest since 1979. We've seen a lot change in our home city, the Phoenix metro area. In fact, we helped to drive it. Over the years of business, we've witnessed massive residential growth, technolgical shifts, other firms come and go, and booms and busts. But we haven't skipped a day for 40 years - and don't plan to any time soon. We are proud of our people and our quality projects, and are even more excited about our future. Support of standard gauge rapid-transit and tram-like light rail. 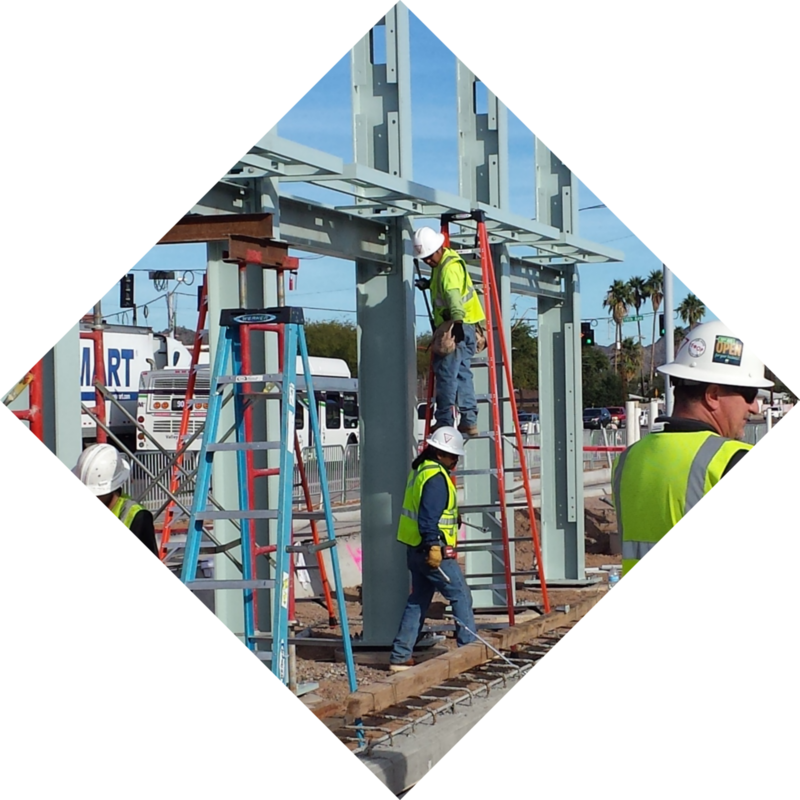 Experience in platform construction, ticketing systems, and sophisticated overhead steel work. Our platforms have supported ridership of 43,543 in 2015 alone. Pre-fabbed metal buildings and erection. We assist with design and have experience with metal roofing, siding and mezzanines. We do our own concrete work, electrical, insulaton and HVAC. From asphalt storage tanks to water and wateware treatment facilities, we have built many light-industrial facilities. We provide pre-engineered equipment and have extensive capacility to augment exiting solutions with custom platforms, railings and mechanisms. We are just as comfortable with beautiful architecture and striking design as we are with heavy machinery and industrial equipment. 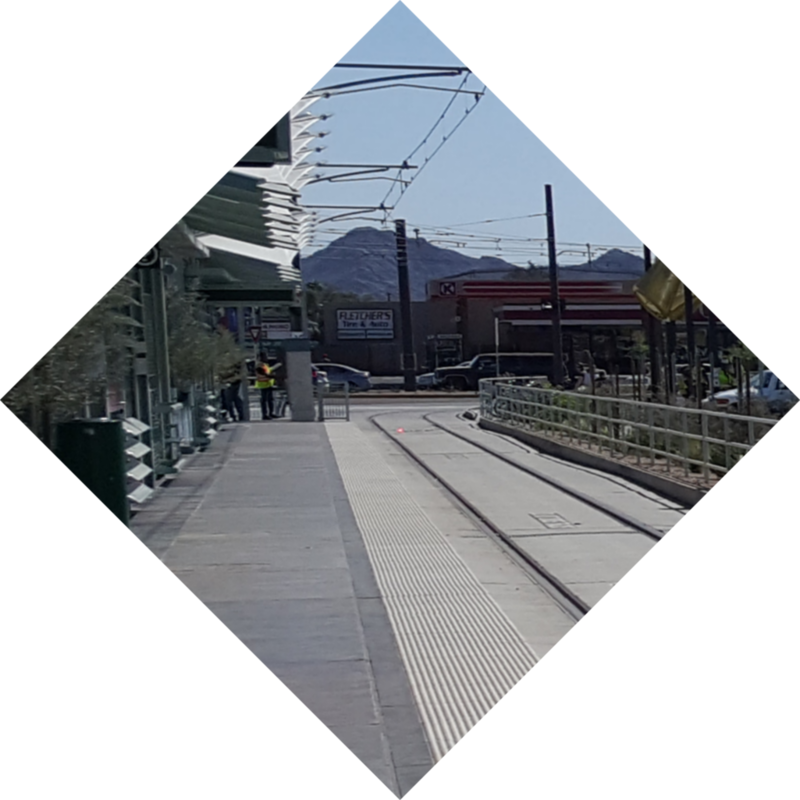 Much of our work can be seen around the Phoenix metro area. ©2017 A J Roberts Industrial Inc.